Do you remember Bob Siekmann? 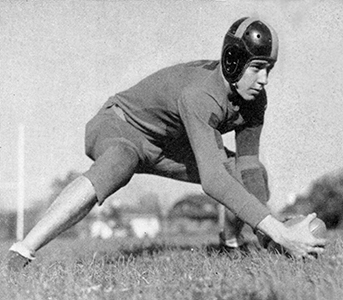 Bob Siekmann graduated in 1939 and was inducted into the Hall of Fame in 2012. Bob Siekmann was a great all-around athlete at Withrow in the 1930s. He was captain of the Withrow basketball team and tied for Cincinnati’s scoring leadership in 1939. He played center on the football team and was an outfielder on the Tiger baseball team. After graduating from Withrow in 1939, Bob attended Oklahoma A&M for one year before joining the Army Air Force from 1941-1945. 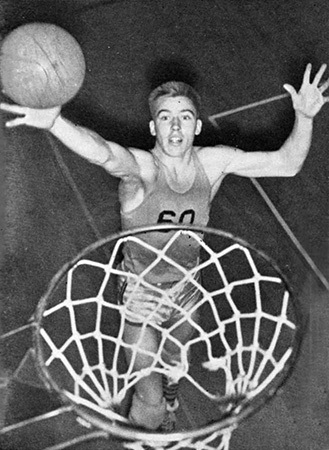 After World War II, Bob returned to Cincinnati and had a noteworthy basketball career at the University of Cincinnati playing for Ray Farnham and then John Wiethe. Bob also played football for U.C. and was a member of coach Ray Nolting’s 1946 team that beat the Big Ten champion Indiana and Michigan State among others.